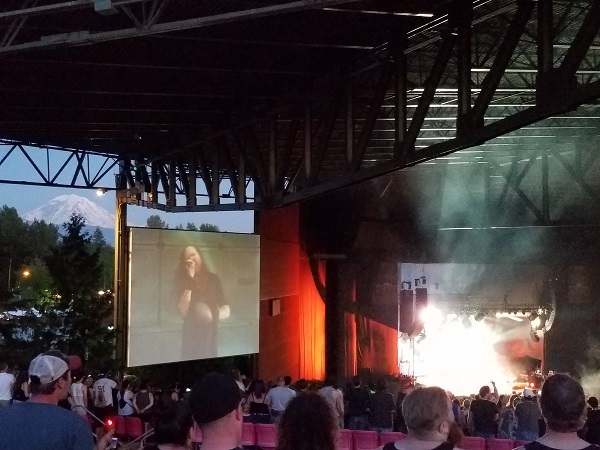 Seattle radio station KISW hosts an annual all-day concert festival, Pain in the Grass, at the White River Amphitheater. This year’s eclectic performers, appealing to their fanbase or appearing in their programming, included Korn, Stone Sour, BABYMETAL, The Pretty Reckless, Yelawolf, and more. This outdoor event is similar to the Warped Tour, except there’s nothing to do except listen to music, or maybe sleep out on the lawn. Were the performances worth risking a sunburn? WANNA READ ABOUT WHY IT WASN’T A PAIN IN THE GRASS? KEEP ON READING!